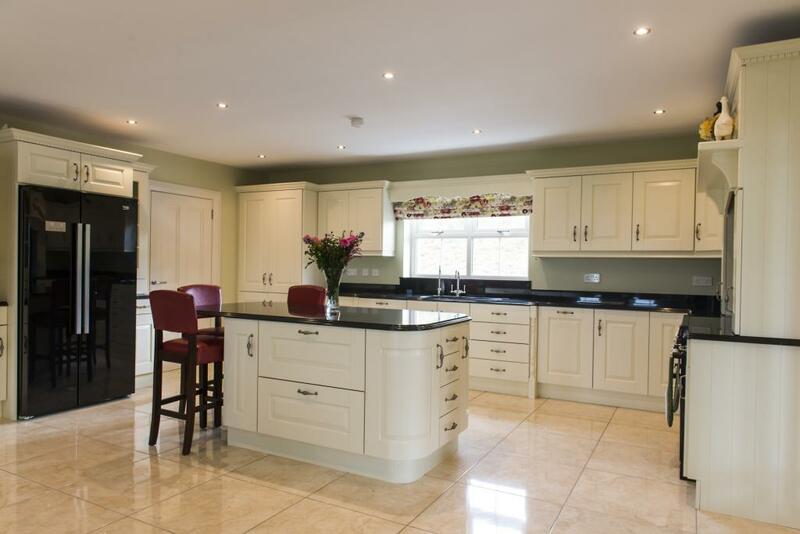 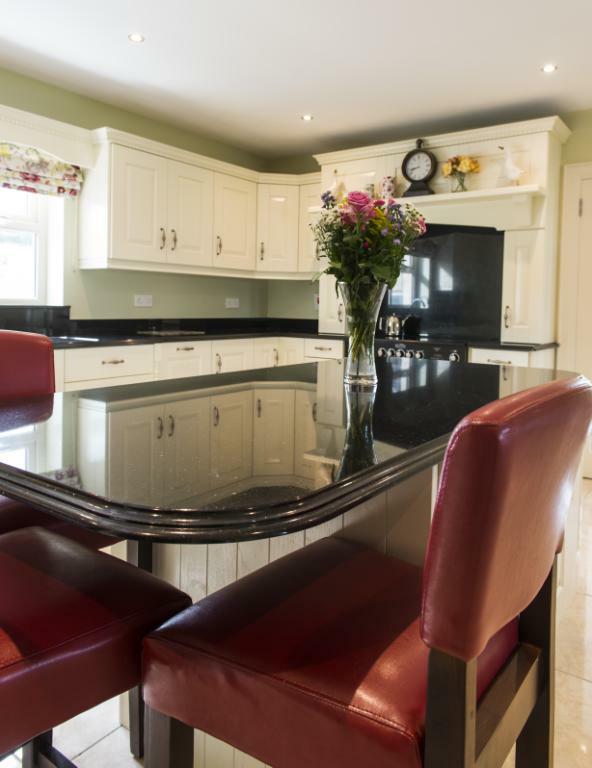 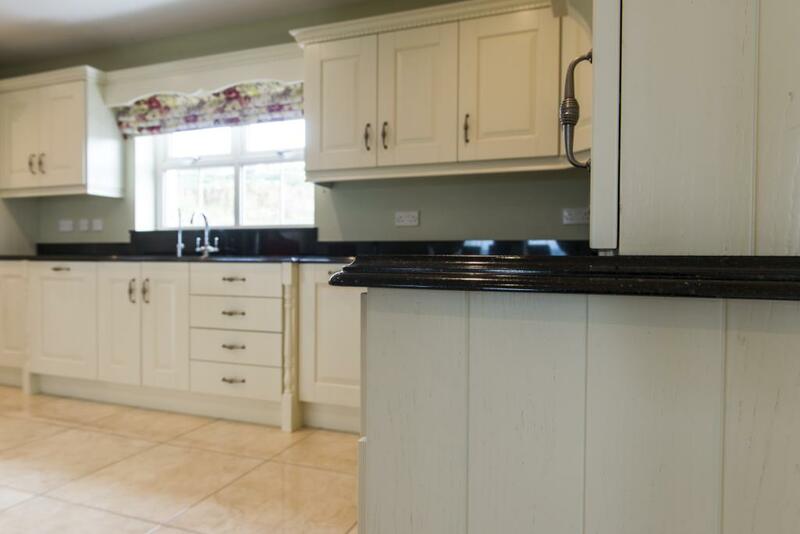 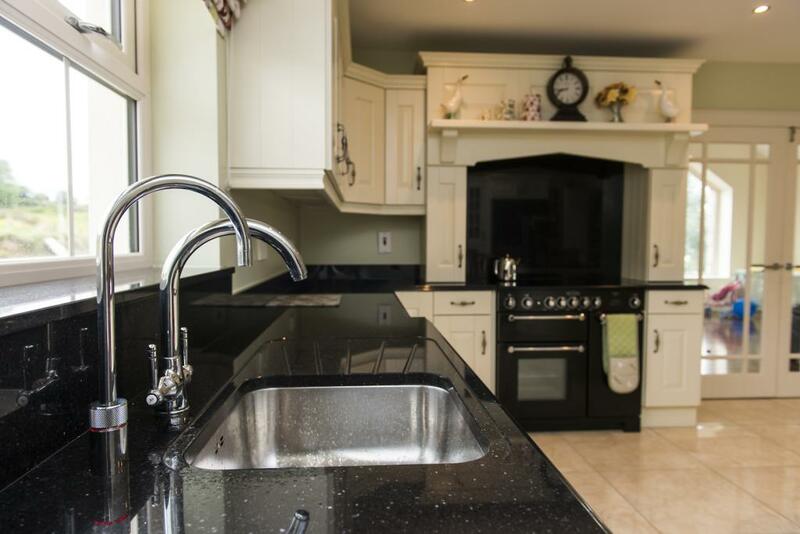 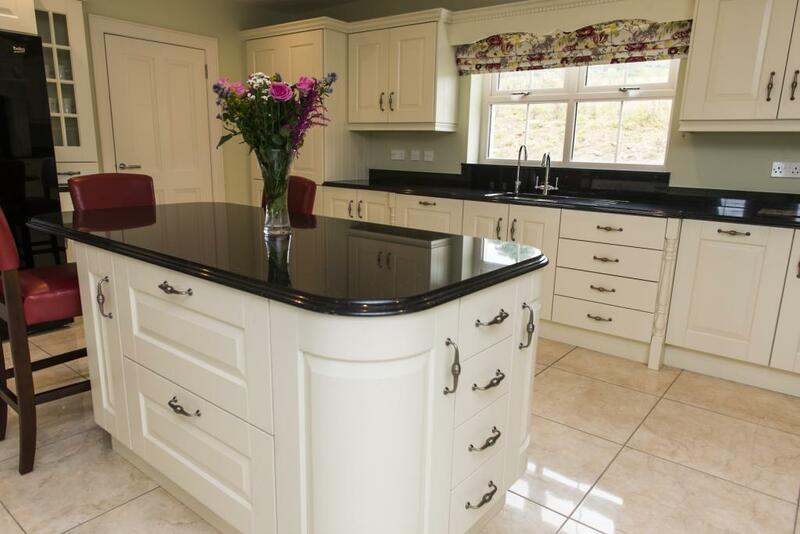 Black granite worktop with a domus edge. 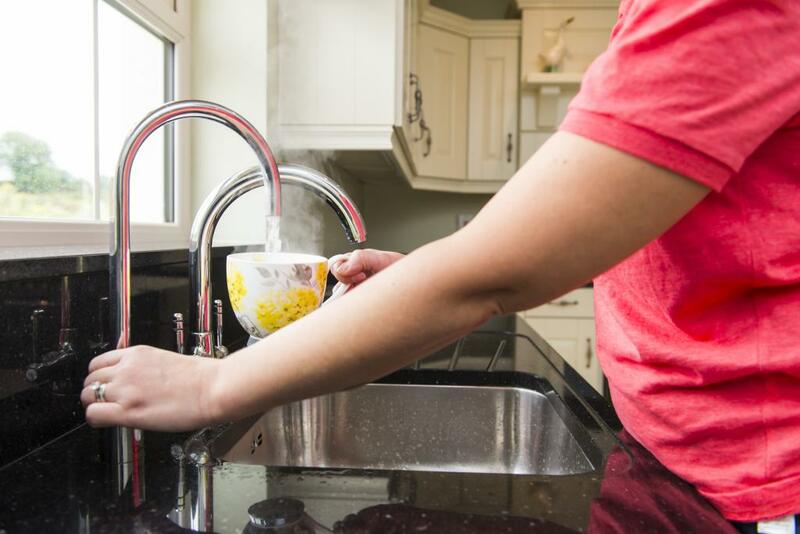 Quooker Nordic round hot water tap. 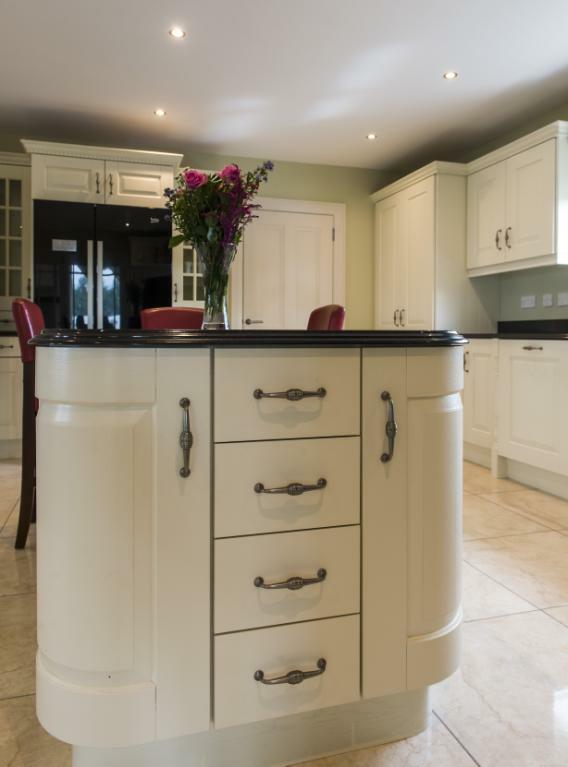 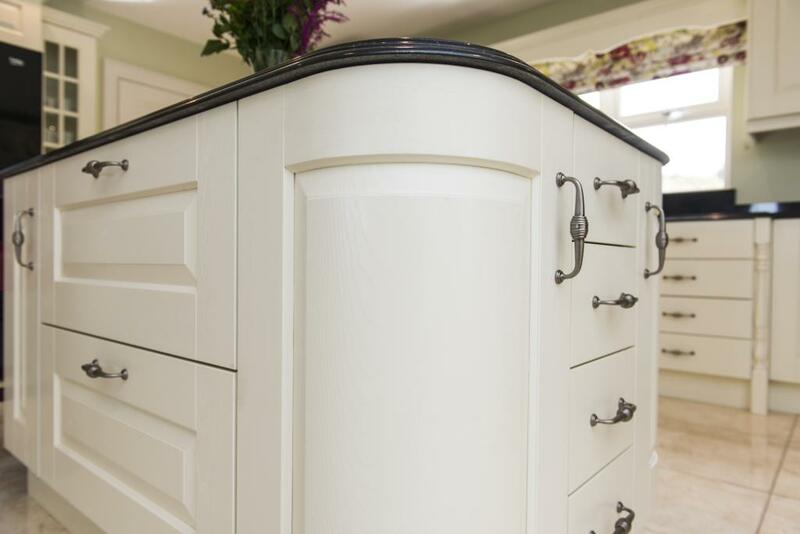 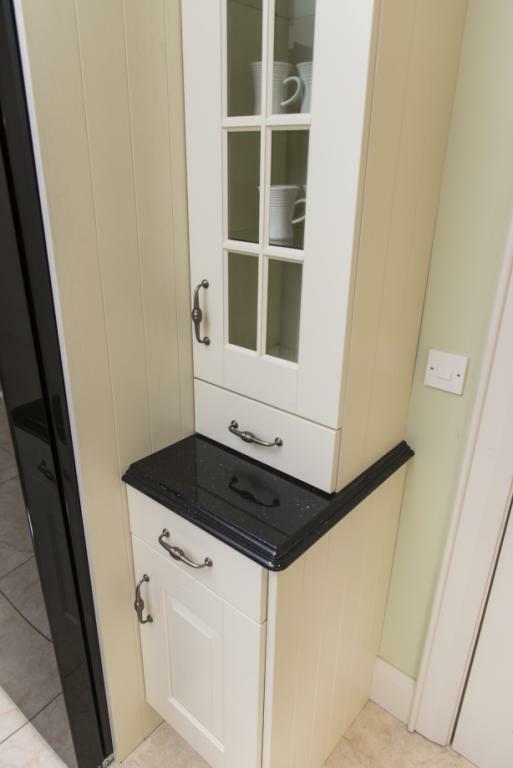 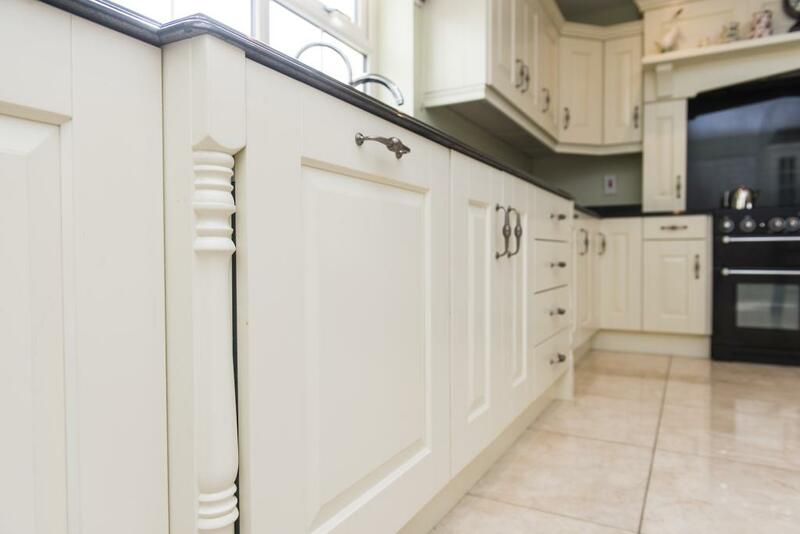 Curved door on island unit.